I am happy to announce that I have published another book (or a diary) for boys. 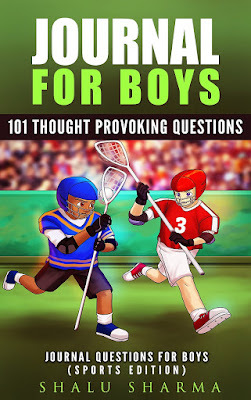 There are 101 questions for boys to answer in the lines provided. There is a kindle edition for those who want it. They will need to answer the questions in another notebook if they buy the kindle edition. You can find the Journal For Boys (Sports Edition) on all Amazons stores.